Premier François Legault thinks his government can settle Quebec's reasonable accommodation debate in a matter of months. Here's why that may be overly optimistic. For the better part of two decades, an emotional debate has raged in Quebec about the compatibility of religious symbols with the province's modern secular identity. Premier François Legault seems to think his government can settle the matter in the next few months. On Thursday, his became the fourth consecutive government to draft comprehensive legislation attempting to regulate what accommodations should be made for religious minorities. Of the three previous attempts, two died on the order sheet and the third was gutted by an injunction that questioned its constitutionality. Each seemed to be accompanied by arguments more rancorous than the last. Will this time be different? Bill 21 sets narrow limits on when accommodations can be considered (as did attempt No. 1). 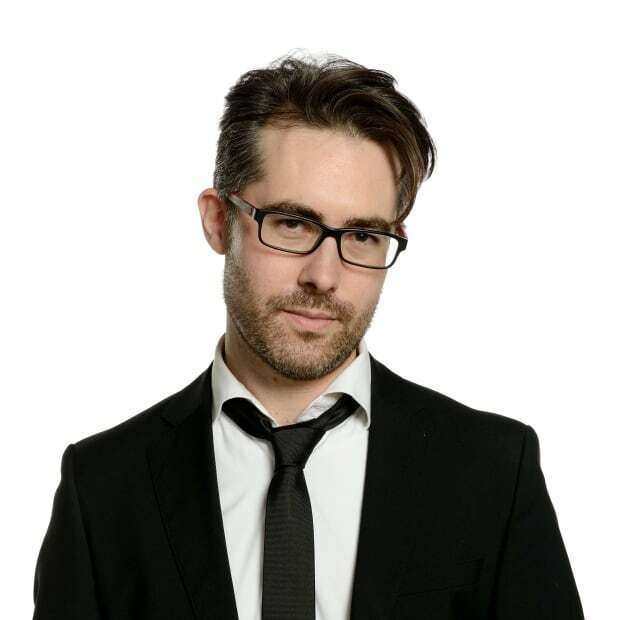 It bars a host of authority figures, including public school teachers, from wearing religious symbols, which had been a feature of the Parti Québécois's Charter of Values (attempt No. 2). And it takes up the most controversial provision of attempt No. 3, insisting that government services be given and received without one's face being covered. By mixing and matching these elements, Legault is wagering enough Quebecers will be satisfied and move on to bigger and better things. "I would like that we turn the page and talk about health care, education, economy. 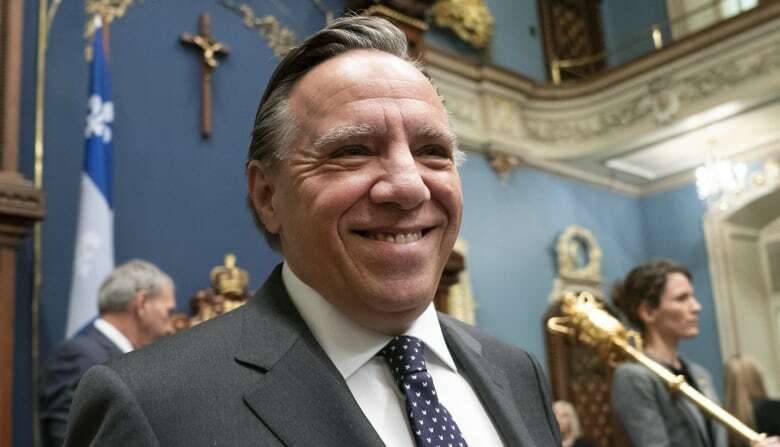 I would like that it be settled for the summer," Legault said. While he may get his wish of seeing it pass before the summer recess — his party has a sizeable majority — there are a number of reasons to think we haven't yet heard the last of the debate over reasonable accommodation of religious and cultural beliefs. The first of these reasons may be the least apparent. Bill 21 invokes the notwithstanding clause of the Charter of Rights and Freedoms. If passed, the bill would be effectively safeguarded from court challenges that claim it violates basic rights, such as freedom of religion, contained elsewhere in the charter. The government wants to be able to pass the law, and not worry about it being overturned for at least five years, when the invocation of the notwithstanding clause would have to be renewed. But foreclosing the option of a legal challenge isn't likely to quell the widespread concern the bill has already raised. It might, in fact, do the contrary, channeling concern and anger into more public forums: op-eds, TV panels, call-in shows and the street. There is, moreover, deep-seated suspicion among many groups about whether the government is sincerely weighing competing interests, or simply sacrificing minority rights for the sake of the majority. 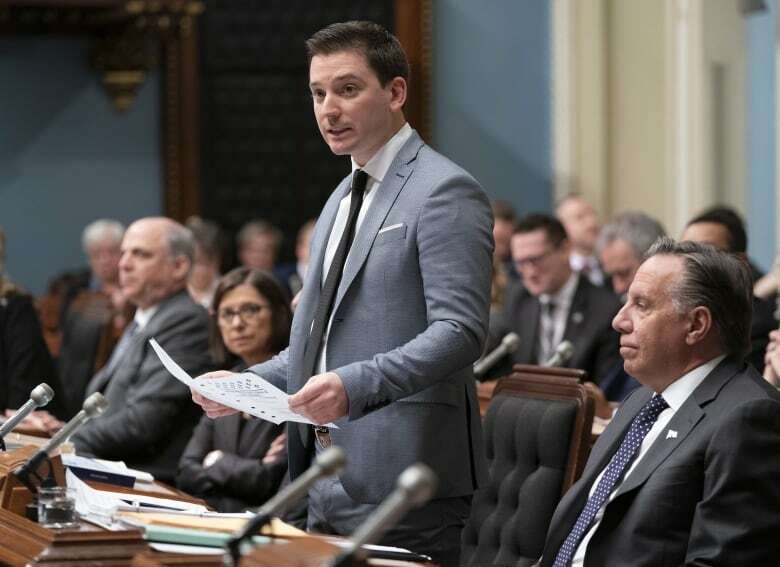 The bill's stated aim is to enshrine the principles of secularism in Quebec law, and in doing so, protect the fabric of a francophone society in a globalizing and largely anglophone world. But just like past attempts at legislating religious accommodations, this one deals extensively with what people wear, and the clothing of one group in particular is singled out: Muslim women. It is Muslim women who wear face coverings for religious reasons, and so it is they who will have to unveil when accessing basic public services, such as taking out a library book. "It's a discriminatory law," Gabrielle Bouchard, president of Quebec Women's Federation said Thursday. "We're doing that on the back of minority women, basically telling them, 'Stay home, we don't want to see you.'" Bouchard, in other words, is giving voice to the concern that the government isn't sensitive to the anxieties of minority groups in the province. 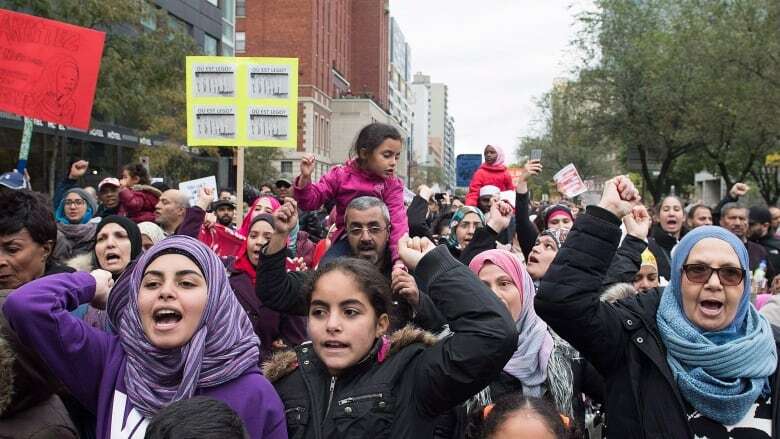 This is a government, after all, whose minister of women, Isabelle Charest, has now twice said she believes the hijab is a symbol of "oppression," never mind why Muslim women say they wear the headscarf. And this is a government led by a man who says Islamophobia isn't a systemic problem in Quebec, again despite what Muslim groups and anti-racism activists have tried to demonstrate. 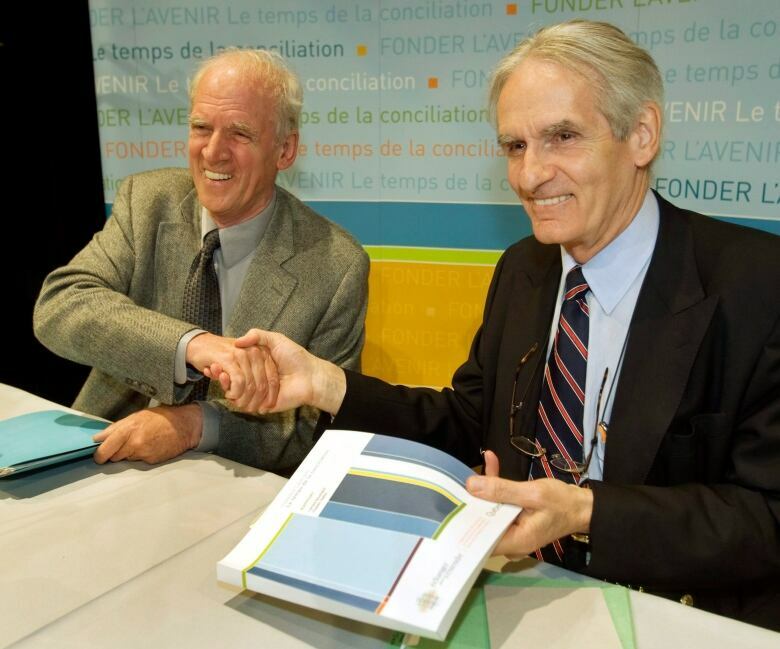 When Gerard Bouchard, a sociologist, and Charles Taylor, a philosopher, teamed up in 2007 to investigate Quebec's reasonable accommodation crisis, they came to two broad conclusions. The first: that the crisis was largely a product of widespread misperceptions about how institutions and religious minorities actually adapt to each other. Unlike what is portrayed in the media, solutions are usually found easily enough, and don't require litigation, or arbitration, just a bit of informal dialogue. The second conclusion suggested the sense of an impasse was driven by parallel sets of anxieties: Francophones, on the one hand, worried about the future of their language, and cultural minorities on the other hand, wondered constantly about their own place in Québécois society. "The conjunction of these two anxieties is obviously not likely to foster integration in a spirit of equality and reciprocity," their report reads. Bill 21, like its predecessors, addresses the first problem, but has nothing to say about the second. The (still) untested hypothesis of the Bouchard-Taylor report is that until the Quebec government is willing to balance that equation, we'll be debating reasonable accommodation for some time to come.